Visual Studio Code>Other>YAML to JSONNew to Visual Studio Code? Get it now. 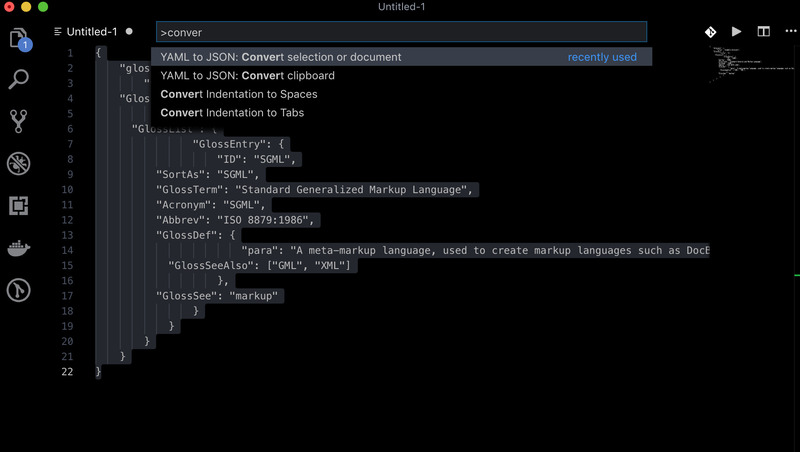 Convert YAML from clipboard or current document/selection to JSON and vice versa. convert the content of the clipboard buffer. These commands autodetect the input format, so if you have YAML in the clipboard, the convert clipboard command will output JSON.